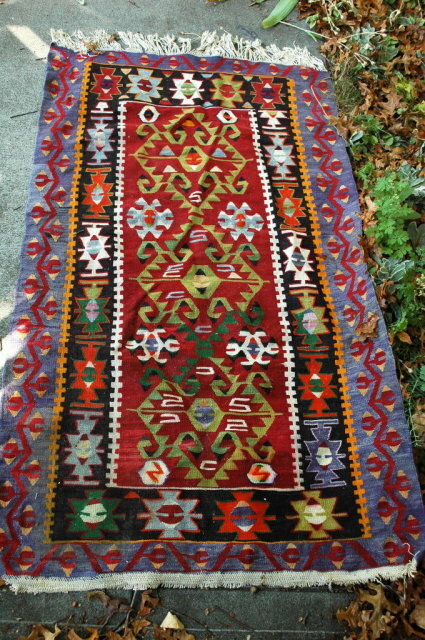 Turkish Tribal Prayer Rug Vintage Hand Knotted Wool 66" x 35"
Turkish Tribal Payer Rug Vintage Hand Knotted 66" x 35". At the time I purchased this many years ago I was told that it is a Turkish Prayer Rug. 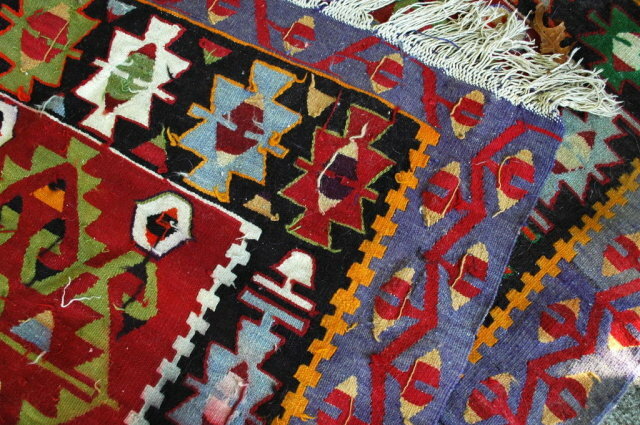 It is a Kilim however it does not appear to be double sided. On the underside the knot ends are visible The colors are spectacular. Plus there is some type of metal seal that is held by a wire to the rug. It must be as the makers ID stamp. However whatever markings is had is now worn off. It is good condition with no major damage and comes from a non-smoking home. It could use some professional cleaning. It has been on my floor for many years and my dog did pee on it although it has been treated with odor removal product. There is a bit of bleeding of the red on to the white but this is minimal and not noticeable. It has been used in a low traffic hallway. 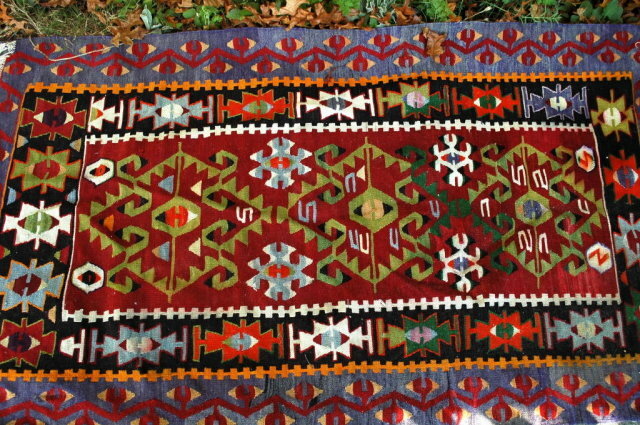 There are some inconsistencies in the coloration but this is typical of hand made tribal rugs. I took the pictures outside so some of the lighter areas look like bleach stains but it is just the sunlight. 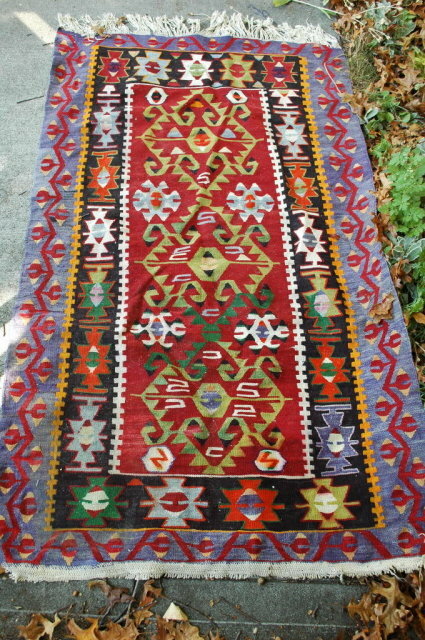 Items Similar To "Turkish Tribal Prayer Rug Vintage Hand Knotted Wool 66" x 35" "